The operator of the first "bee factory" relies on plants supplied by RULAND Engineering & Consulting. Joint efforts led to the development of the modern manufacturing company for api-phyto products with a particularly tailored process technology. They may not have come across the dinosaurs, but probably, bees have populated the earth for 40 to 50 million years. Petroglyphs from about 9,000 years ago prove the occupation of the early days’ people with bees and honey. Prior to the discovery of sugar, honey was the only source of sweet temptation and was thus precious and correspondingly expensive. And already back then, the healing effects of the products produced by bees were known. In Russia, people have always used apiculture products for the production of traditional remedies, which explains their particular love for bee products. Propolis, for example, is used as a natural oral and dental care product. The three-part harvest festival celebrated in the Russian Orthodox Church is called Honey Savior, as in times of need, people were able to improve their living conditions due to bees and apiculture. The founders of Tentorium, a Russian company with its headquarters in Perm, also overcame hard times thanks to apiculture and in 1990 developed a highly successful range of products based on this essentially Russian tradition. Meanwhile, Tentorium belongs to the world’s leading manufacturers of api-phyto products and is even the only manufacturer who completely processes all substances produced by bees. Formulas used in traditional medicine were supplemented by products based on modern, scientifically founded studies. The Tentorium product range offers a great variety of food supplements and cosmetics for every area of healthy nutrition and personal care, which all contain components produced by bees. Numerous prizes and awards prove the high level of creativity and innovation of the Tentorium products. More than 100 different products, which in the past were mainly handcrafted, are distributed by a direct marketing structure with hundreds of thousands distributors. Tentorium’s great success and the company’s intention to increase the export efforts made it necessary to build a modern production facility. The search for an appropriate plant engineering company who is able to transfer the great variety of products and production processes into an industrial process finally led Tentorium to Ruland. Within a consulting study, Ruland developed an operational and production concept for the production of honey, honey blends, propolis extracts, dragées and cosmetic creams. All formulas were analyzed together with the customer. For the industrial production, the appropriate procedures were selected and parts of the process technology were newly developed. The scale up process of the production steps was supported by extensive practical tests in the Ruland process laboratory. 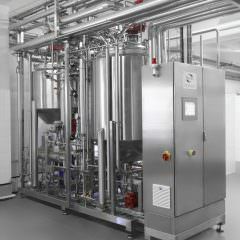 The concept for the bee factory included all operational areas, from energy and power supply over process technology to the optimized filling and packaging. For the implementation of the necessary different technologies, Ruland fell back on specialized partners, integrated the outsourced components into the overall process and took on the turn-key responsibility for the entire plant. For the expansion and modernization of the existing old plant, the Ruland specialists used their experience to develop an utilization and restructuring concept with particular regard to the energy efficiency improvement and the guarantee of hygiene-oriented building physics. In order to use the energy saving potentials of a combined heat and power unit (CHP) with appropriate technology, all operational areas were coordinated in a holistic approach. Consumption and process temperature levels for the electricity and heat supply were optimized in a way that enabled Tentorium to almost completely use the heat generated in the CHP in the heating of the building and as process heat. For the production of product water, a reverse osmosis system with upstream softening suitable for high-temperature cleaning and sanitization was built up. In the area of raw material processing, which also includes the production of icing sugar, the integration of intrinsically safe mills enabled the adherence to the explosion protection guidelines with comparatively little effort. The milling processes are highly gentle so that even pollen can be milled into fine powder without thermal load or the danger of Agglutination. The honey collected by apiarists in Russian forests must be screened most carefully and the foreign particles left by the bees must be removed reliably. After pre-tempering, the honey is removed from the delivery containers and filtered. In a mixer, the production batches are prepared. For traditional honey blends, further ingredients are added. 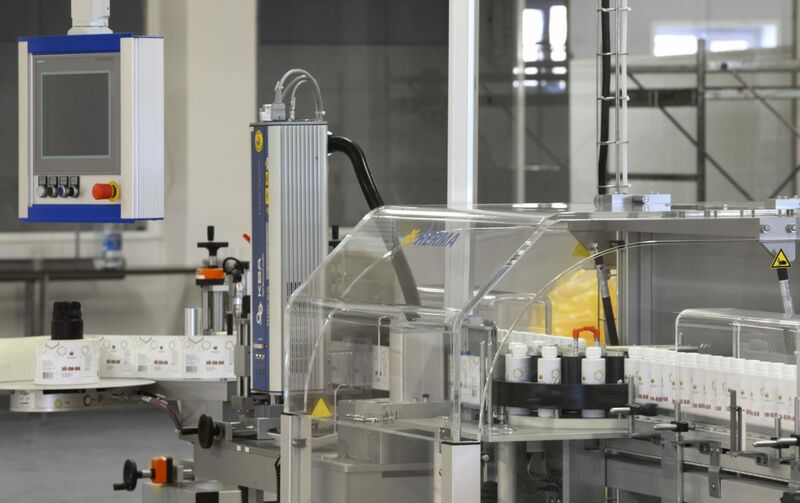 The finished products are filled, labelled and packaged in automated plants. For the production of creams with beeswax as a main ingredient, a wax cleaning process was developed at first. The cleared wax is then mixed with further ingredients and homogenized. Immediately afterwards, it is hygienically filled into plastic jars, labelled and packaged without any human intervention. As Tentorium partly uses alcoholic plant extracts for the formulas, not only the Russian hygiene regulations regarding the production of cosmetics, but also the local explosion protection guidelines had to be adhered to. The Tentorium main products are dragées and propolis extracts. In particular for the dragées, varied natural ingredients, especially dried berries from the forests of Siberia, are used. After a complex drying and cleaning process, the berries are used as centers of dragées in a typical coating process. The production of traditional aqueous propolis extracts was particularly challenging. For the conversion of the established complex multistage process with many manual interventions into a modern production process, numerous tests were necessary. 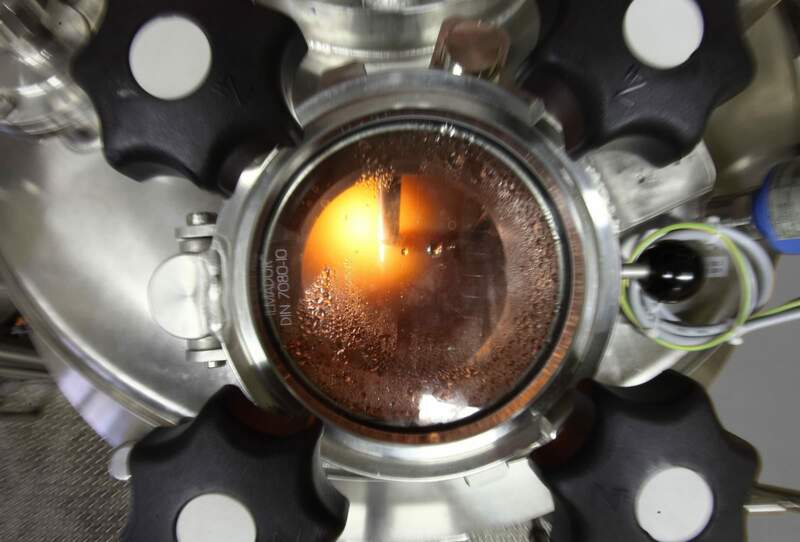 On the basis of the test results, Ruland was able to develop a new process which enables the separation of different non-watersoluble phases in one step. The duration of the production process was reduced from several days to a few hours, simultaneously improving the product quality. In addition, the previously complex raw material preparation was greatly simplified by using highly modern crushing methods. Manual filling was as well replaced by a completely automated filling, labelling and packaging technology. Together with the process technology, Ruland provided the plant control system, the visualization and the documentation of the production processes. The latter were individually programmed in accordance with the specific requirements of the plant technology and Tentorium’s special needs. Likewise, a smooth communication with the plant control systems of subsuppliers was ensured. In the central control room, all processes are monitored and documented by means of batch recording. Another major part of the project was the integration of a personnel training program, which, in addition to theoretical parts, is mainly based on intensive instructions by means of production support on site. Would you like to know more about our project at Tentorium?